WordPress has become the most extensively used Content Management System. Over the years, WordPress has outgrown from a blogging platform to a fully-featured CMS used for developing websites, web portals and much more. Today, a lot of website owners favor having a WordPress powered site than HTML website. So, if you own an HTML site and want to convert it into a WordPress theme, you can opt for HTML to WordPress conversion process. 1. Security: In general, HTML sites are highly secure. In fact, in certain situations, it is pretty hard to hack a website comprising of HTML files compared to a WordPress CMS. But, WordPress has shown tremendous improvement over the past few years and facilitate websites with essential security features with the help of several plugins. By switching to WordPress CMS, you can make your site hacker-proof. WordPress allows you to create an administrator of your site that will alone have the access of the site. By making sure, to install updated version of WordPress as it will render you with more advanced security features to fix any security glitches or loopholes existing in your site. 2. User-Friendly Platform: HTML sites count on FTP or web hosting server to alter the content. Besides this, making updates to HTML website content can be a lot tricky and bothersome, as it requires you to have knowledge about coding in HTML. Conversely, making an update to WordPress site content is fairly simple and does not require any technical expertise. Right from adding new web pages, to making edits to the content and publishing it, you can do it all in real-time even after reading a basic WordPress tutorial. 3. 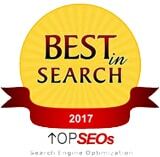 WordPress sites are SEO-Friendly: Though you can make your HTML sites search engine optimized, that’s a time-consuming process. WordPress powered sites outrank HTML websites when it comes to search engine optimization. One of the possible reasons that make WordPress site search-engine friendly can be attributed to the fact that WordPress is a blogging platform designed to bring in SEO-friendly elements to the website content plus WordPress offers various plugins to make a website search engine optimized. It’s apparent that search engine crawlers index web pages having new content, and having a blogging platform confer site owners with the benefit of adding unique and fresh content easily as opposed to static HTML pages. 4. The Power of Plugins! : WordPress offers numerous plugins that help in improving a website performance and let you do anything with your site, be it showcasing an image gallery, posting videos, implementing Google analytics, and much more. Though, you can add some of these elements in HTML site as well. However, it requires you to write HTML code, which can be an onerous task. HTML to WordPress conversion process is not a child’s play, and thus, it is mandatory that you should seek the help of some expert. Luckily, there are a number of web development companies that offer HTML to WordPress theme conversion services. However, make certain that your service provider has the wherewithal in delivering quality conversion services. For this purpose, it is necessary that you must carry out a search on Google, or post your requirement on job portals to pick the right candidate for your project. I am not an expert in websites or internet marketing, and the consultative approach they took made it easy to work with them. The discussion was about what I wanted the website to do for us. They did not throw a bunch of technical jargon at me about how they were going to do it. I also liked their patience with my revision requests and the attention to detail to get it just right. I highly recommend a call to Heaviside Group! I won’t call anyone else for this kind of work. We were concerned about how much a website redesign would cost after seeing quotes from big-name agencies for tens of thousands of dollars. When we saw Heaviside’s proposal we thought it was too good to be true, but they delivered. I liked the professional design, and their SEO and PPC knowledge is very deep as well. Our projects were well-managed and stayed on track through completion. We continue to work with them on an ongoing basis to improve the lead generation on our website. I highly recommend Heaviside Group! It was great working with Chris! 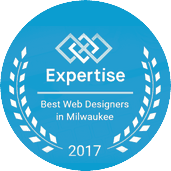 After looking for the right person/company to work with on building our critical website, we were thankful to find Heaviside. Great communication and execution. You won’t be disappointed. Heaviside Group showed us how to develop a cohesive plan, going beyond SEO… and we’ve seen a 200% increase in SEO leads. The website built by Heaviside Group has boosted our Google ranking significantly.